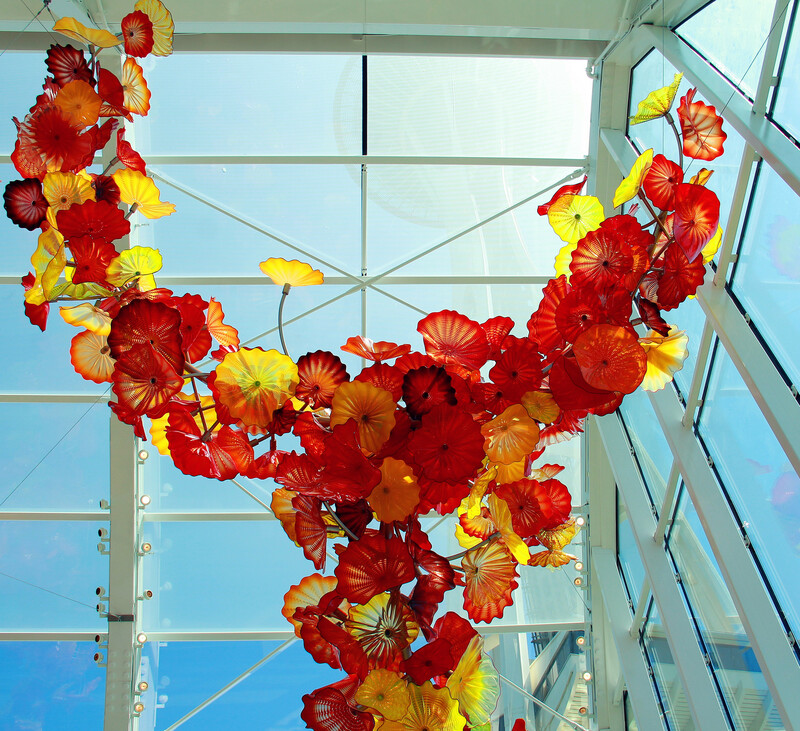 Chihuly Garden and Glass, Seattle, WA | Ming's Photo Blog! Chihuly Garden and Glass is a museum located at Seattle Center which dedicates to showcasing Dale Chihuly’s work. Walking in the museum, I was truly stunned by all these gorgeous pieces of arts. One of the reasons that I love this museum is that every piece of arts seemed to have its own story. In one room you could see a collection of glass in the shape of different plants with shining colors, which seemed to explain to you the biodiversity of tropical rainforest, in another room you would find a boat full of treasures stopping in the still water, splendid yet peaceful. And standing in the glasshouse in a sunny day, looking up to the huge glass flowers and the lofty Space Needle, it’s just beautiful! This entry was posted in Travel in US and tagged Seattle, Still life, Travel, Washington. Bookmark the permalink.